This handsome dog was named after a province in northwestern France. Alert and even-tempered, Brittanys make excellent hunting companions. With their cheerful and very friendly personalities, they also make delightful household pets. Those who admire these beautiful dogs will enjoy this wonderful Brittanys square wall calendar. Includes a free download of the DogDays™ app for the smartphone and tablet, which grants access to the world’s most captivating dog photos and backgrounds, fun puzzles, and a calendar featuring your favorite furry friends. This entry was posted in Calendar Showcase, Dog Breed on April 30, 2018 by dogdaysapp. Courageous, comical, energetic, and loyal, Bull Terriers make devoted friends. Well-built and muscular, these dogs need plenty of exercise. They have a tough appearance, but they are gentle and affectionate. They are most content when close to those they love. 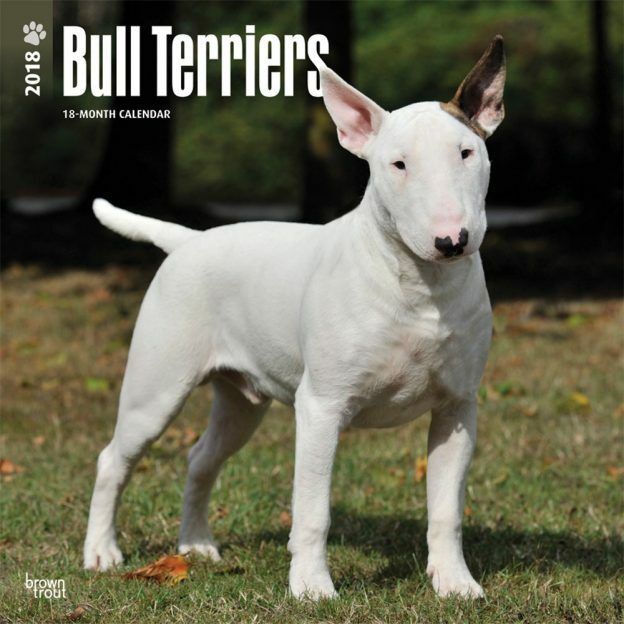 This fantastic square wall calendar features white, brindle, and other colors of the Bull Terrier breed. Includes a free download of the DogDays™ app for the smartphone and tablet, which grants access to the world’s most captivating dog photos and backgrounds, fun puzzles, and a calendar featuring your favorite furry friends. Bulldog puppies grow up, but they don’t lose all the wrinkles—or any of their personality. These precious puppies are inquisitive and intelligent, affectionate and loving. Light exercise is great for them. 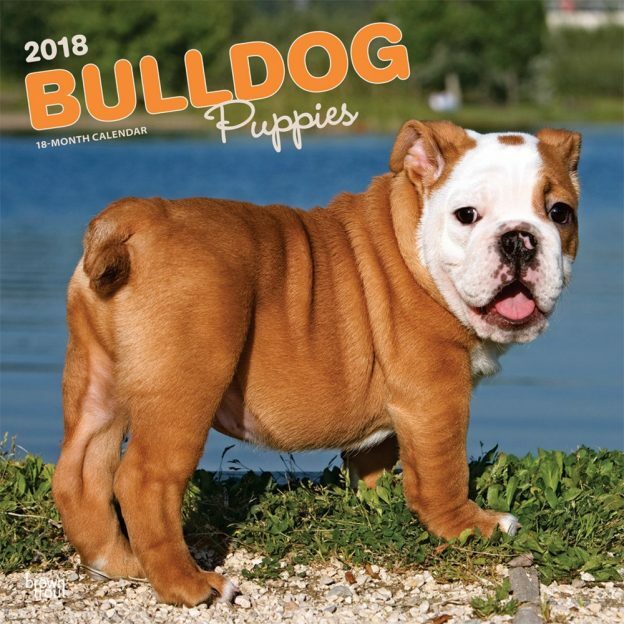 This Bulldog Puppies square wall calendar is full of these chubby bundles of joy. Includes a free download of the DogDays™ app for the smartphone and tablet, which grants access to the world’s most captivating dog photos and backgrounds, fun puzzles, and a calendar featuring your favorite furry friends. This entry was posted in Calendar Showcase, Dog Breed on April 29, 2018 by dogdaysapp. Intelligent, alert, and adorable, Border Collie puppies will grow up to be supreme sheepherders. Even at an early age, their natural herding instinct is noticeable. These pups are playful, loving, and energetic. 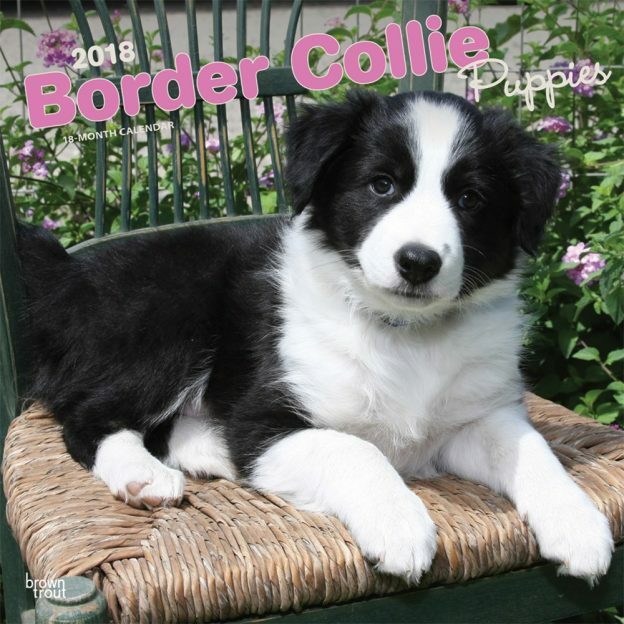 They may not be ready to drive their flocks, but the lively Border Collie puppies in this darling square wall calendar will certainly make you smile. Includes a free download of the DogDays™ app for the smartphone and tablet, which grants access to the world’s most captivating dog photos and backgrounds, fun puzzles, and a calendar featuring your favorite furry friends. A Franco-Belgian breed, the Bloodhound is sometimes called the Chien de St. Hubert. 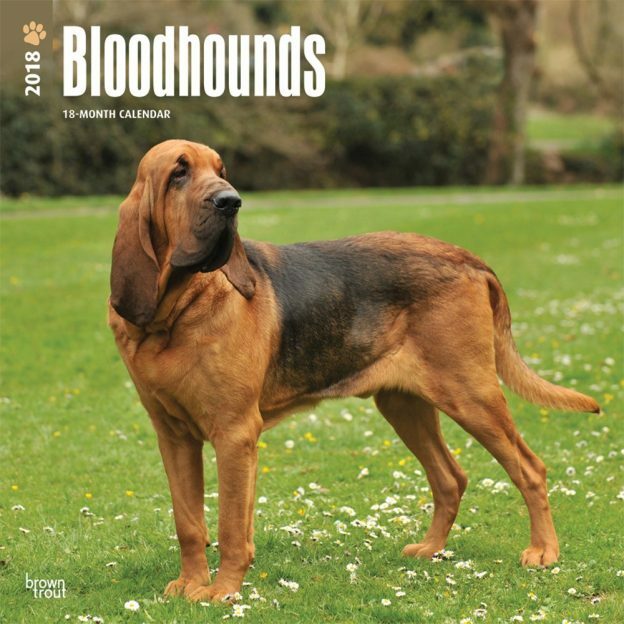 Bred as hunters, Bloodhounds are intelligent and strong, and have a keen sense of smell to go along with their booming voice. They have been esteemed partners of law enforcement officers for close to 200 years. Gentle and affectionate, they love children. Images of these happy, sleuthing hounds fill this delightful square wall calendar. Includes a free download of the DogDays™ app for the smartphone and tablet, which grants access to the world’s most captivating dog photos and backgrounds, fun puzzles, and a calendar featuring your favorite furry friends. This entry was posted in Calendar Showcase, Dog Breed on April 28, 2018 by dogdaysapp. A happy little dog with white curly hair, the Bichon Frise always seems to be smiling. It may be small in stature, but it has a large presence. Devoted pets, these dogs are curious and playful. The Bichon gets along equally well with people and animals, and is considered one of the gentlest dogs. 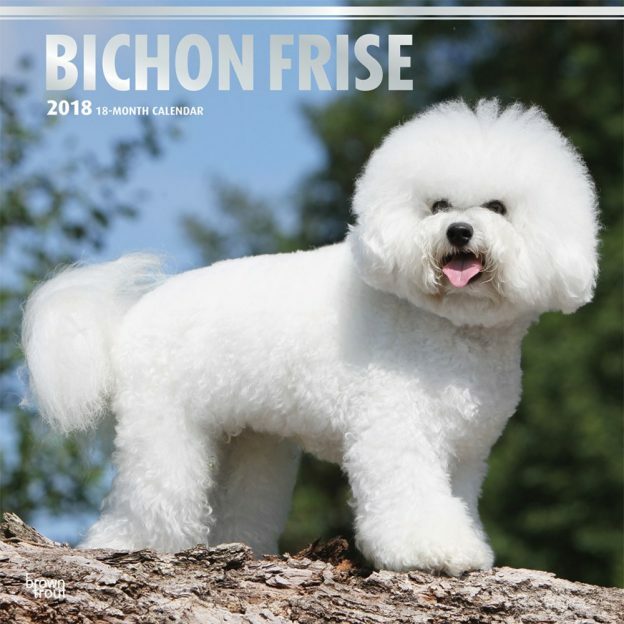 Fans of this charming Mediterranean breed will definitely enjoy BrownTrout’s Bichon Frise square wall calendar. Includes a free download of the DogDays™ app for the smartphone and tablet, which grants access to the world’s most captivating dog photos and backgrounds, fun puzzles, and a calendar featuring your favorite furry friends. Border Collies are fast, agile, and very loyal to their owners. Originally bred on the English/Scottish border, they are widely recognized as the world’s finest sheep-herding dog. Their distinctive stalking gait and knowing eyes attest to their watchfulness and incredible intelligence. Eager to please, these athletic dogs love to work. 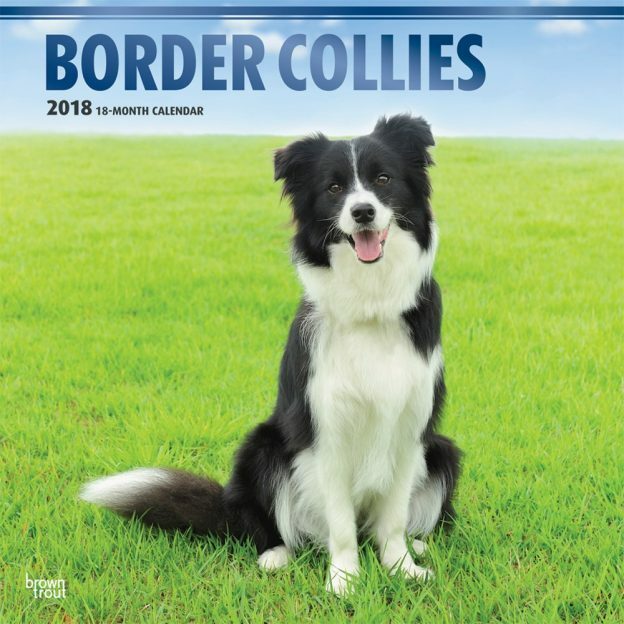 Those who appreciate this extraordinary breed will enjoy this Border Collies square wall calendar. Includes a free download of the DogDays™ app for the smartphone and tablet, which grants access to the world’s most captivating dog photos and backgrounds, fun puzzles, and a calendar featuring your favorite furry friends. This entry was posted in Calendar Showcase, Dog Breed on April 27, 2018 by dogdaysapp. The wide-eyed Boston Terrier puppies in this wall calendar will grow up to be affectionate dogs. Boston Terriers may be small, but they’re packed with personality. Intelligent and playful, these young dogs are filled with curiosity and joy. 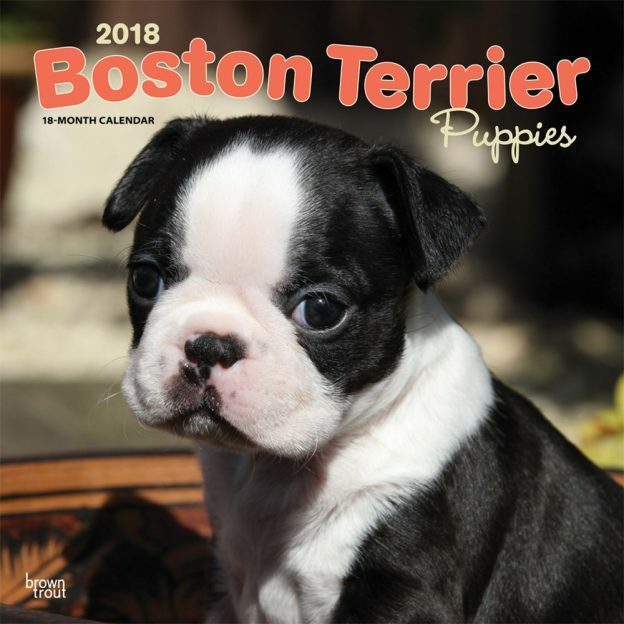 The cute pups in this Boston Terrier Puppies square wall calendar are sure to bring lots of joy to dog lovers and pet owners alike. Includes a free download of the DogDays™ app for the smartphone and tablet, which grants access to the world’s most captivating dog photos and backgrounds, fun puzzles, and a calendar featuring your favorite furry friends. Spirited yet even tempered, a Boxer makes a wonderful pet. Boxer puppies are darling, intelligent, athletic, and social—all the admirable qualities of an adult Boxer dog in miniature. 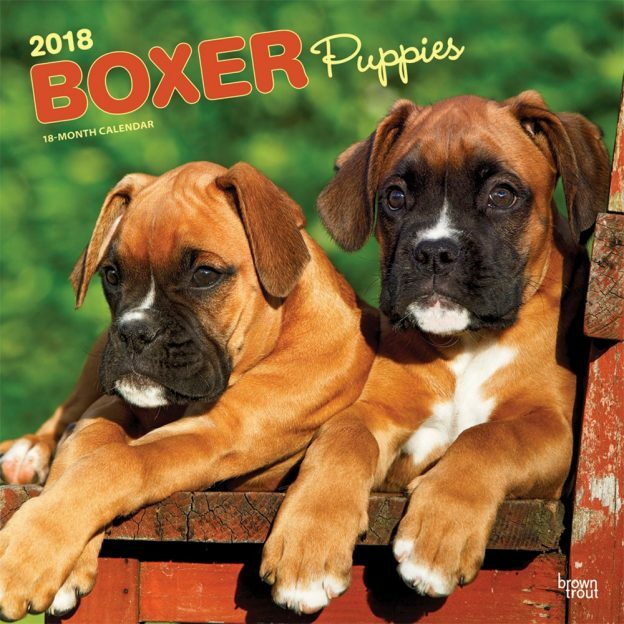 The bouncy Boxer puppies in this square wall calendar will grow up to be courageous and intelligent dogs. Includes a free download of the DogDays™ app for the smartphone and tablet, which grants access to the world’s most captivating dog photos and backgrounds, fun puzzles, and a calendar featuring your favorite furry friends. This entry was posted in Calendar Showcase, Dog Breed on April 26, 2018 by dogdaysapp. The big, beautiful Bernese Mountain Dog hails from Switzerland. Bred for heavy farm work in harsh alpine conditions, these sweet, smart, and gentle dogs make wonderful family companions. Steady and friendly, they love children. 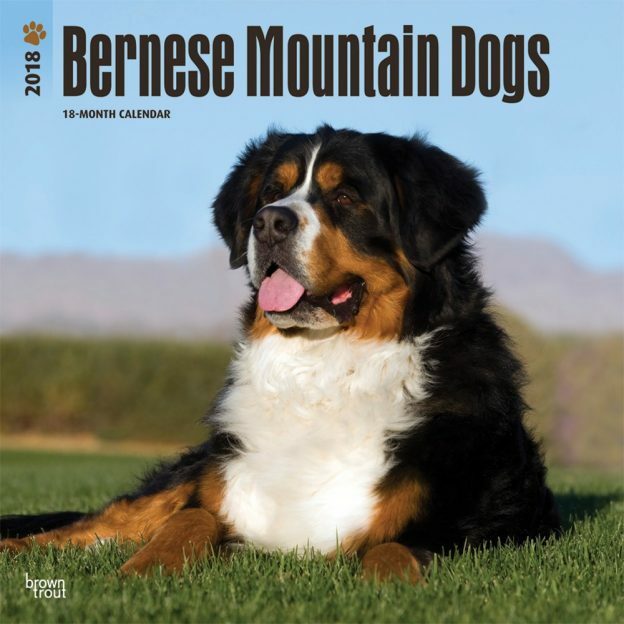 Fans of this happy breed are sure to enjoy this delightful Bernese Mountain Dogs square wall calendar. Includes a free download of the DogDays™ app for the smartphone and tablet, which grants access to the world’s most captivating dog photos and backgrounds, fun puzzles, and a calendar featuring your favorite furry friends.